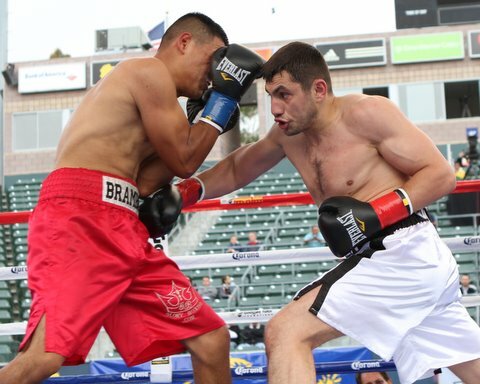 The heater was cranked through the roof at the Goossen Boxing Gym in Van Nuys, Calif. last Saturday as HyeFighter Armen Ovsepyan prepared for his upcoming fight on the Arthur Abraham vs Andre Ward undercard on May 14. Inside the ring, Ovsepyan (10-1, 8 KO’s) brought the sweltering heat himself, training in preparation for his fight against Mexican Arthur Brambila at The Home Depot Center this Saturday. HyeFighter Arman Ovsepyan beats Mika Joensuu via TKO in the 2nd round to improve to 6 Wins & 1 Loss (with 5 of the wins coming by KO).